Round 1 is a large arcade, offering everything from rhythm games, dance games, bowling, karaoke, driving simulators, crane games…and more! It’s always a highlight during my trips to California because it’s so bright and exciting. It’s especially interesting because it offers a selection of Japanese and Korean arcade machines, including…purikura!! Before taking our photos, I decided to play a few rhythm games. One of my faves is Pop n’ Music, which is a guitar hero style arcade game, but instead of holding a guitar, you hit coloured buttons on the machine’s interface! I played it for the first time during last year’s trip to Round One (read about it here), and absolutely fell in love! The character design kinda reminds me of the Dance Dance revolution characters. I even started collecting the pins, although they’re super hard to find! A lot of the rhythm games are in Japanese without English instructions, but the tutorials seemed basic enough. They even had Vocaloid Project Diva machines! Time for Purikuraaaaa! Moeka, Megan, and I decided to try out the Oh my girl III machines, featuring one of my favourite Japanese models, Reina Treindl! Out of the four or five purikura machines, this one seemed to have the cutest designs. If you’re following me on snapchat (my username is lovelyghost) you’ll probably have seen my super long stream of snaps fangirling over this! 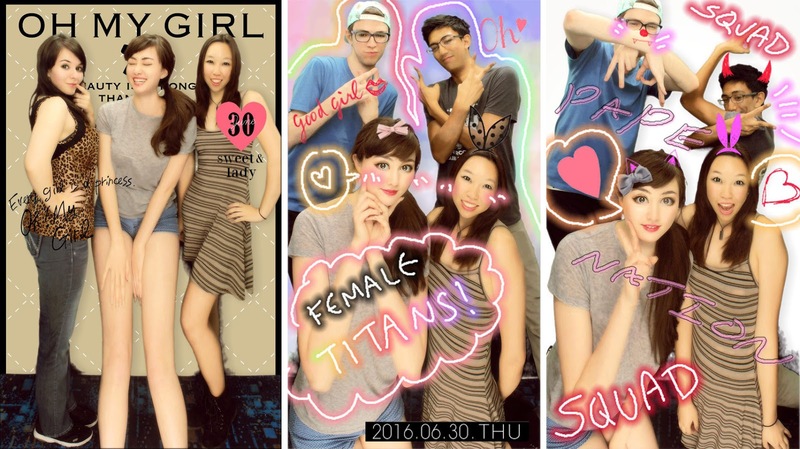 One sheet of purikura cost 24 credits – I think that came to about $5? Not bad at all! When you walk inside the machine, you’ll be greeted with a wall of diva lighting and a screen/camera. You stand against a green screen, and the machine gives you suggestions for poses/ counts you down! After taking the photos, you can head to another screen on the side of the machine to decorate the frames. You can draw, use stamps, add stickers, text, and more! I also suppose that the machines are designed for people shorter than like, 5’8″. I was leaning against the back board to fit into the camera so I could be the same height as Moeka and Megan. But then it was time for the full body photo, and this happened… It also really stretched out my hands. In the photo where we’re kneeling, the machine has also stretched out our torsos! Why must the world be so cruel??? 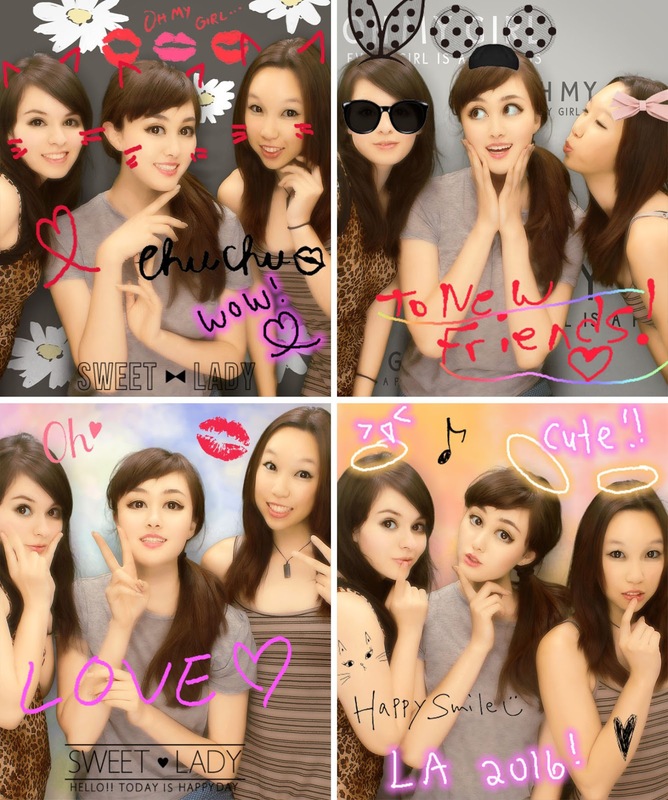 I absolutely love purikura machines – they’re so fun! I’ve never seen the Japanese ones around Toronto (only the regular photo booths). You get a sheet of images that you can divide up, and you can also purchase a digital copy of the photos on the website listed at the bottom of the sheet! 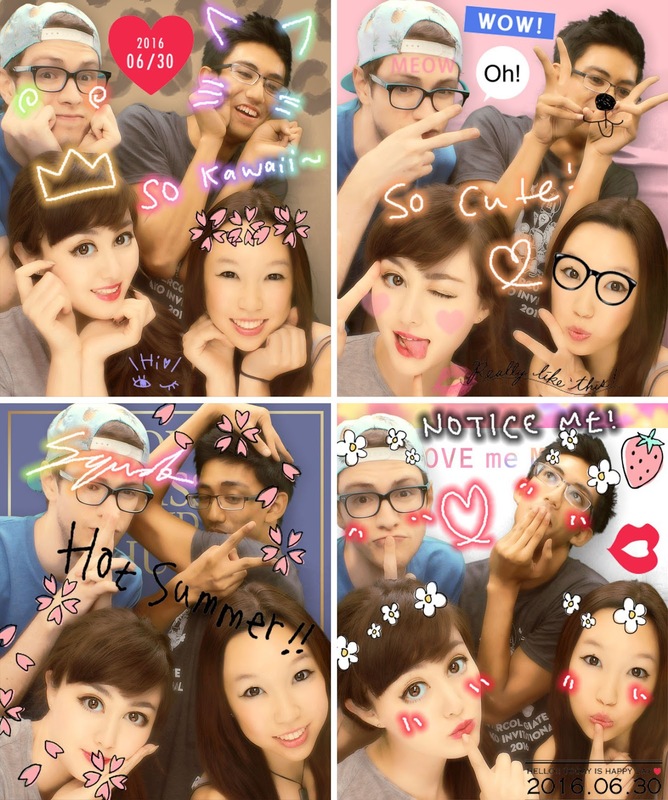 Have you ever tried purikura before?